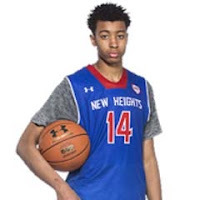 Antonio Sellers has to be regarded as one of the best wing players in America. He has been faithful to the Gauchos and dominated many years on the AAU circuit and at the Future Phenom Camp. Sellers currently ranks #11 on our national poll but has a great shot to move up. 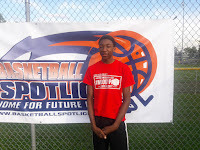 He will be returning to the Future Phenom Camp August 26th and 27th in Boyd, MD. 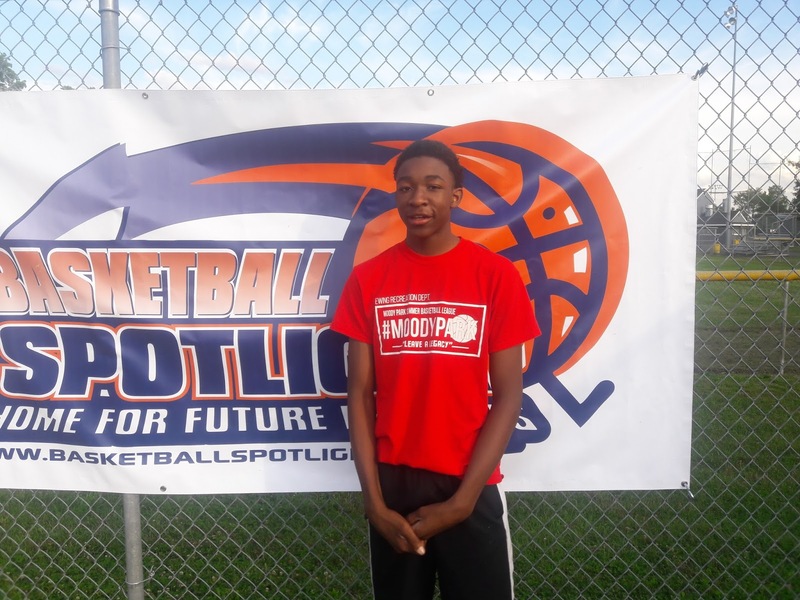 Felder-Chatman Ready For Future Phenom Camp Challenge! 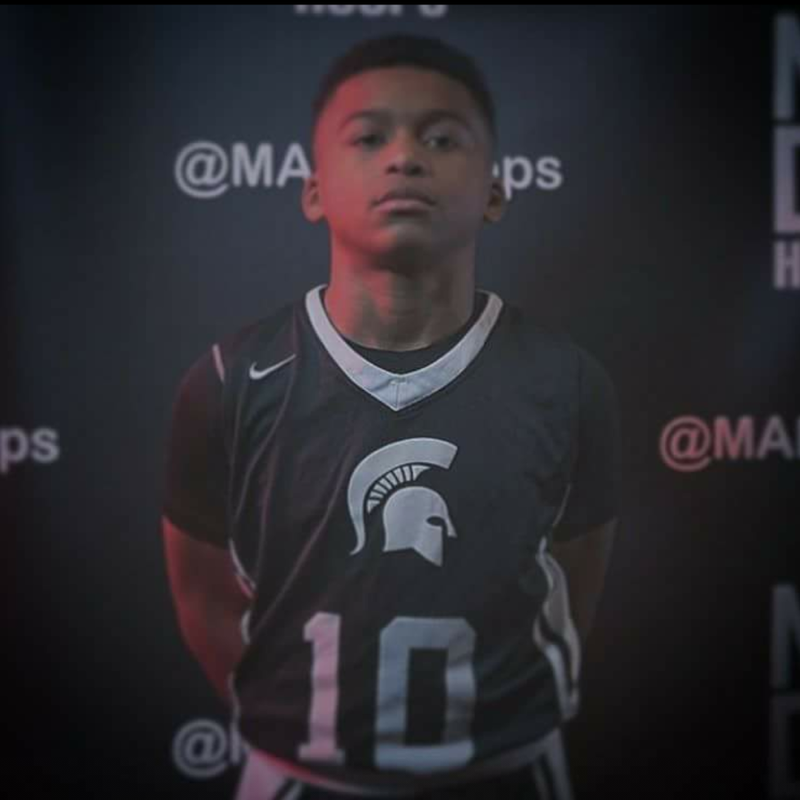 Tony Felder-Chatman is a point guard with the Boston Spartan 7th Grade squad with a mean ratchet. 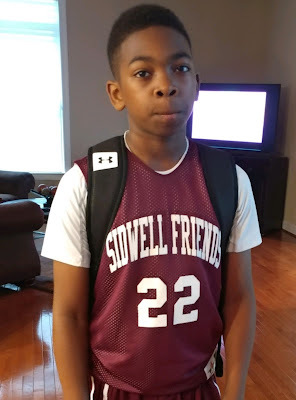 He helped the Spartans 7th Grade run deep and win several tournaments. He has the confidence and game to back it up on the floor. 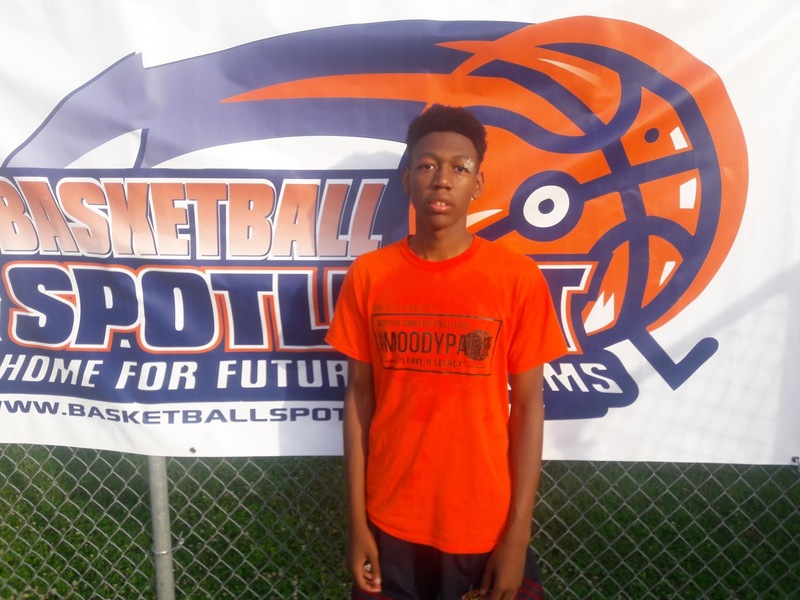 Now Felder-Chatman has thrown his hat in the ring for the Future Phenom Camp. 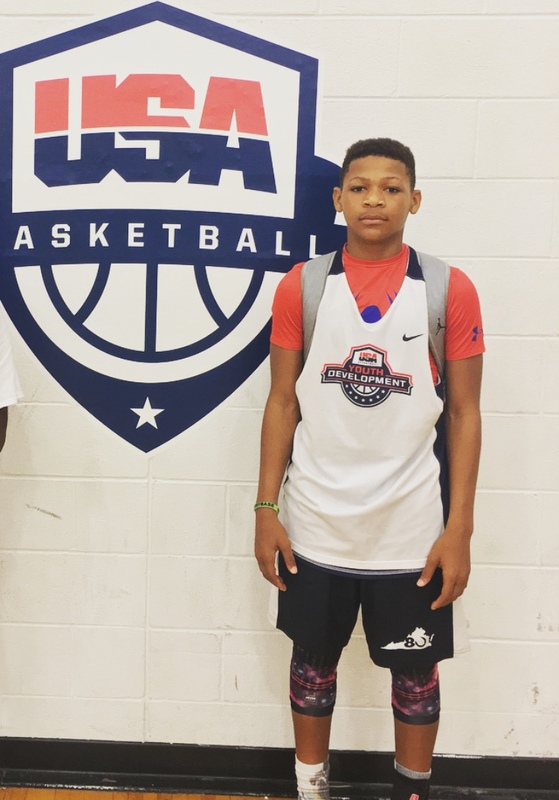 The Class of 2022 guard will square off against some of the top guards in the country. 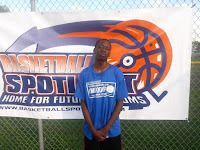 Jakary Towns made a name for himself at the Future Phenom Camp two years ago and has been on the national radar since. The Grand Rapids, MI resident is considered one of the best playmakers in the country and currently #20 on our national rankings. Towns will be bringing his talent to a loaded Class of 2023. The Basketball Spotlight Future Phenom Camp will be loaded this summer. Don’t miss your chance to bang against the best. Register early because a sellout will be on the way. CLICK HERE TO REGISTER. 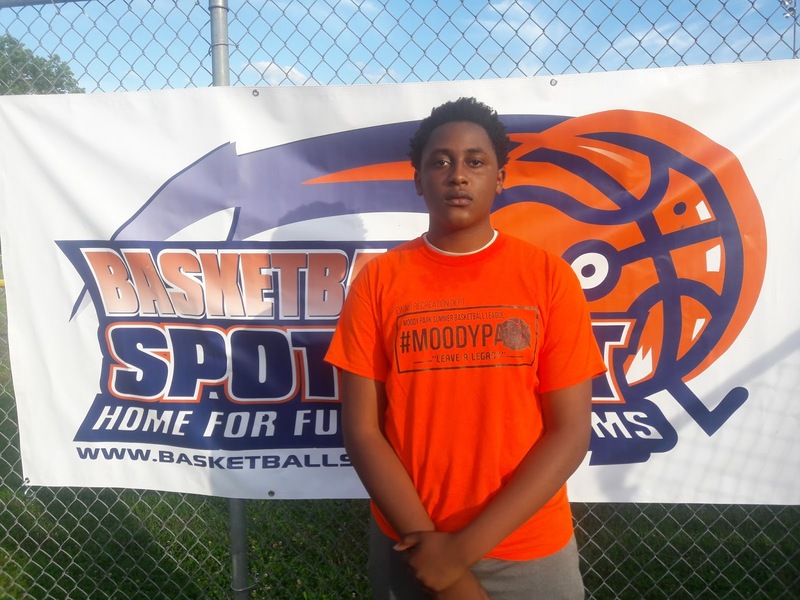 The Moody Park Summer League is underway and Basketball Spotlight stepped on the court yesterday. We got a chance to check out the middle school division and here are the top performers we saw. Freddie Young Jr. Guard (YSU Elite)- Young is the talk of the Mercer County area of the rising frosh. The smooth combo guard proved why yesterday. He scores with from all three levels and makes it look easy. I love the way he flows in transition while either dropping a dime or finishing himself. He led his team with 12 markers as they cruised to the victory. Dameon Samuels Guard (YSU Elite)- The lefty compliments Samuels well. He runs the floor and finishes with ease. He also has developed some play making skills of his own in terms of breaking down defenders and dropping dimes. 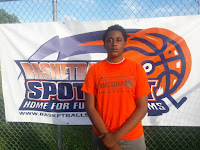 Brandon Hendryx Forward (YSU Elite)- Hendryx is more mobile than his younger days and showed soft hands on the blocks. Since his team used the transition game often he didn’t get many touches but we could still see his effectiveness. 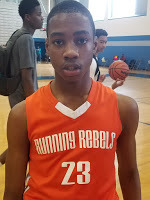 Terrell Pitts Guard (Latimer’s Construction)- Pitts scoring prowess was on full display yesterday and when you add in that he’s only a rising 8th Grader we might have something here. He used his size to be hard to contain in the open floor and half court situations. He has some wiggle in his game and ability to finish. He tallied 16 markers in the win. Doug Evans Jr Guard (Latimer’s Construction)- Pitts’s teammates Evans also tallied 16 markers while scoring from all three levels. He has a smoothness about his game and showed some instincts of a play maker. I like the body control he shows when avoiding shot blockers and to get his shot off in traffic. 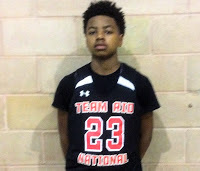 Gabe Mitchell-White Guard (Latimer’s Construction)- Mitchell-White is another rising 8th Grader that caught my eye. He’s more of a point guard than scorer. I like how he got all his scoring teammates involved and seemed to enjoy doing it. He another one we will be keeping a close eye on. Kahzir Brown Guard (Team Wilkins)- Brown brought the energy and effectiveness on both ends of the floor. I like how he attacked the hole and was also able to hit the pull up jumper. His release point is a little low but that should develop as he gets stronger. On defense he was a hawk in the passing lanes and even chased down an opponent for a block. Amar Lane Forward (Kelcher and Associates)- With some hard work this lanky forward could be the best prospect I saw yesterday. The rising 8th Grader stands about 6’4 with a serious wing span. He’s still developing his game and is not even scratching the surface of his potential. Stay tuned on Lane. 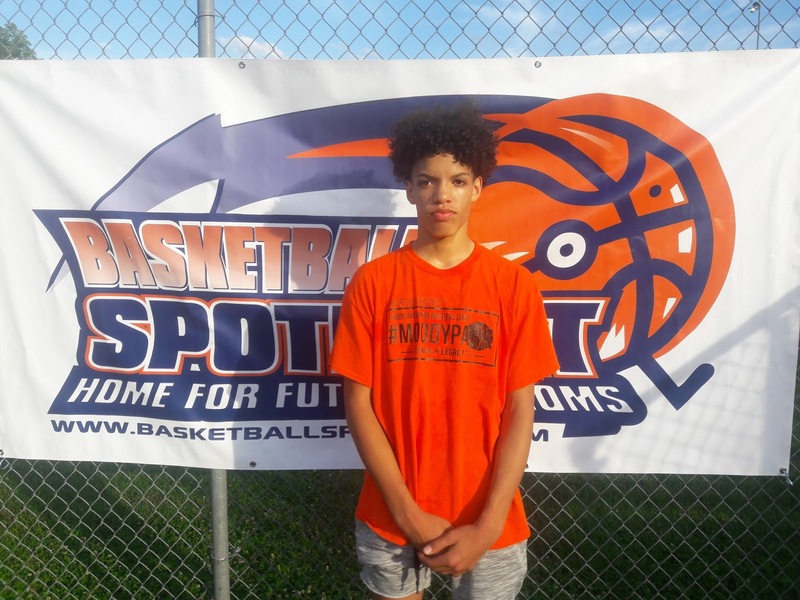 James Prescott Presence Will Be Felt At Future Phenom Camp! James Prescott has made a name for himself down in the Virginia for years. We recently saw him at a Showcase in Ohio and love the way he plays the game. He’s a strong guard that plays the game physically with a combination of skill. 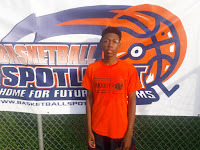 Now he has decided to bring his game to the big stage at the Future Phenom Camp August 26th and 27th in Boyd, MD. 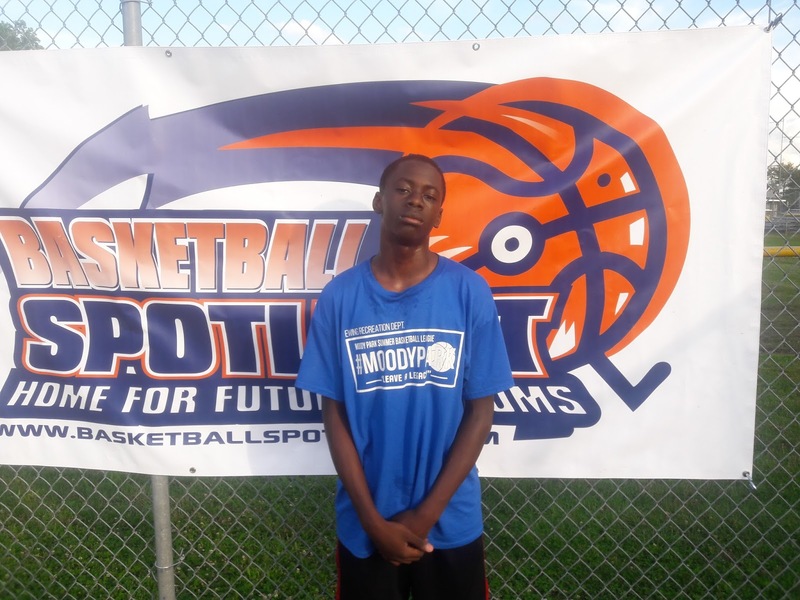 Cameron Gillus has been a star at the Future Phenom Camp for the past two years. Now the fabulous Maryland product will be returning to the Future Phenom Camp in Maryland to once again prove he’s one of the best guards in the country. He is currently ranked the #13 player in the country and has a chance to move up. The 6th Grader is currently playing in a varsity summer league in the DMV area. Gillus will be joining some of the other stars around the country at the Future Phenom Camp August 26th and 27th. Stay tuned as we bring you more top stars coming to the Basketball Spotlight Future Phenom Camp. Make sure register fast because the sellout is eminent. Jerry Easter Jr. has been a national name since he started playing basketball. Two summers ago he destroyed the Future Phenom Camp with his play and now rocks with the loaded Blue Chips. 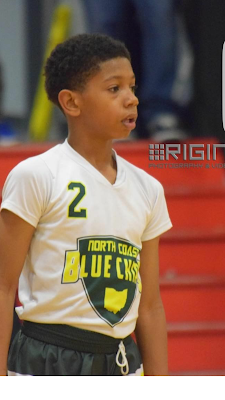 Easter will be returning to the Future Phenom Camp to show why he’s rated as one of the top 5th Graders in the country. Stay tuned as Basketball Spotlight brings you more top prospects coming to the Future Phenom Camp. Don’t wait too long to register because it might be too late. CLICK HERE TO REGISTER. ESPN dropped their Class of 2018 Top 100 Rankings and Basketball Spotlight Alums rocked the list. 9 of the Top 16 players have Basketball Spotlight roots. We would like to congratulate all the players that made the list and wish them the best the rest of the way. 1. Marvin Bagley (Arizona)- No surprise Bagley was the consensus #1 since entering high school and should stay in this spot the rest of the way. 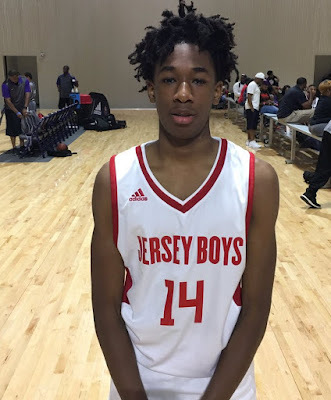 He rocked in the Spotlight AC Showcase with the loaded WACG All Stars. 3. Cameron Reddish (Pennsylvania)- Yes “The Prince” as we called seems to a King now as he is currently #3 in the country. He rocked on the Spotlight circuit with Team Final and has proven to be one of the best in America. 6. 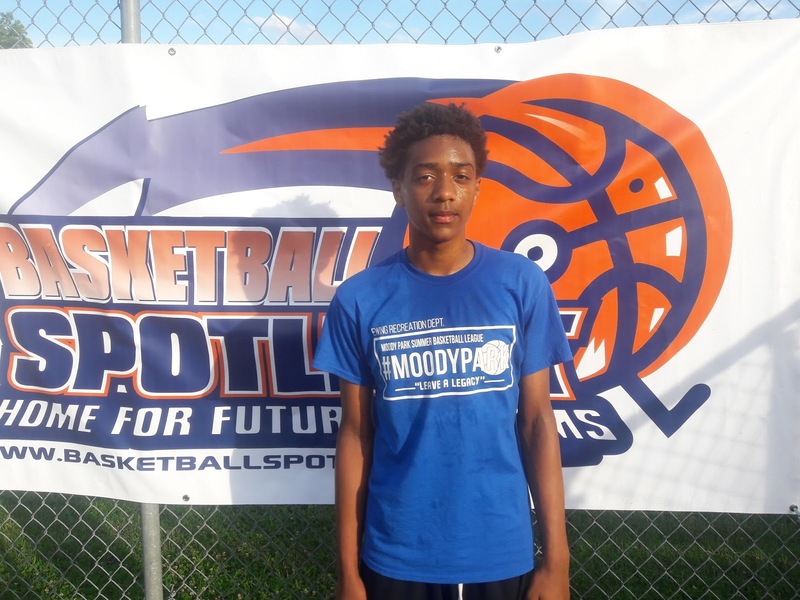 Moses Brown (New York)- Brown has made the biggest jump since middle school as he grow to 7’0 feet tall and has taken his game to another level. Brown began his Spotlight career with KSK before ending up with New Heights. 7. Nazi Reid (New Jersey)- Checks in at #7 and its well-deserved as has been killing this spring. Reid has been a national star since beginning his Spotlight career with the NJ Shore Shots, then KSK before finishing up with the Supreme Team. 9. Simisola Shittu (Canada)- Coming in at #9 is Simi Shittu, he entered the Spotlight with CIA Bounce and put on a show. He’s name has continued to ring bells on the high school circuit. He’s one of the most dominant forces on the high school scene. 11. Darius Garland (Tennessee)- One of the most entertaining guards I saw over the years. He’s grown to 6’2 and continues to play at an extremely high level. He rocked at the Spotlight AC Showcase with the famed WACG All Stars. 14. Immanuel Quickley (Maryland)- Quickley starred at the Spotlight Clash For A Cup for Baltimore Elite and put on a show. He has since starred on the high school level and as you can see is rated one of the top guards in America. 15. Jahvon Quinerly (New Jersey)- The Spotlight Player of the Year with Team IZOD in 8th Grade checks in at #15 and has been destroying the comp all summer. He has truly took his game to another level after leaving high school. He's truly a special player. 16. Louis King (New Jersey)- King was also part of the loaded Supreme Team during his Spotlight days. The smooth wing crashed the Top 20 rankings after a stellar spring with Team Final. Now he’s playing like a stud. Elijah Fisher is rated as the #1 6th Grader in the country and will be making another appearance at the Future Phenom Camp. Last summer is dominated the camp and finished as the top player and prospect in the building. Fisher is the next highly rated player from Canada which included recently Tyler Ennis, Andrew Wiggins and RJ Barrett. 8th Grader Zion Harmon continues to show his national dominance as he has helped the USA 16U Team to a 2-0 start. He scored 11 points (3 treys) in their win versus Puerto Rico and 14 more markers in their win against Dominican Republic. 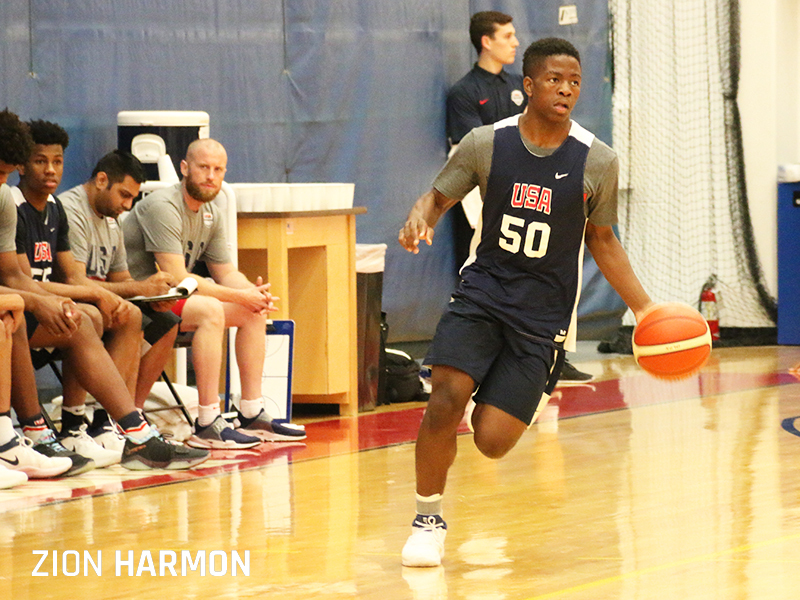 Harmon has shown he has to be considered one of the best 8th Graders in the country. 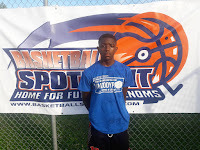 Stay tuned as Basketball Spotlight bring you more coverage of Zion Harmon as his middle school career concludes. Jayden Pierre continues to show he’s one of the best point guards in the country. During the MDC he shined with dribble penetration and a mean pull up game. He smoothness and poise stood out as he battled some of the top guards in the region. Don’t be surprised if he kills the camp circuit this summer. CLICK HERE FOR THE #1 CAMP IN THE COUNTRY! Breakdown: Team Delaware took Team IZOD to the limit and Wright was the major force. The scoring guard showed prowess from the field and the free throw line. He torched the eventual champs for 27 points and was determined to help his team to the victory. He shows the ability to score at will any given time. Breakdown: Don’t let the nice face fool you. Sabree is an assassin especially scoring the rock. In once contest he went berserk for 26 points. Once he catches fire he very difficult to contain. Keep an eye on this Philly area kid. Breakdown: Moore game jumped out us during their battle with WE R 1 Lehigh Valley. The shifty guard got anywhere he wanted on the floor and showed the ability to score in traffic. He has a mean floater and supreme body control around shot blockers. He went off for a team high 19 markers in the loss. This kid is ferocious. Breakdown: Goss was playing up against the WE R 1 Lehigh Valley and made his presence felt. He ran the point efficiently and knew how to hit the mid-range jumper. He was smart enough to stay out of traps and dribble his way to space. He has the heart and the court vision to make a name for himself. 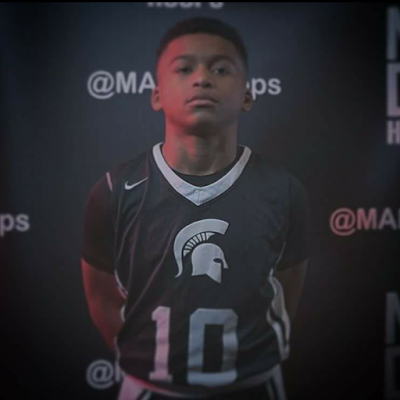 The Basketball Spotlight MDC 6th Grade Division gave us a look at some usual suspects and fresh faces. Here’s a look at some of the top performers from the weekend. 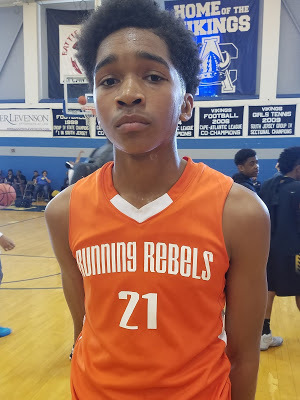 Christian Kirkland Forward (B&B Running Rebels)- There’s not many players in the region that can dominate a game without scoring many points but Christian is one of those players. His length causes so many problems on the defensive end while blocking or altering shots. He also eats the glass on both ends of the floor. On offense, he could score along the baseline, in the paint and on put backs. He looks like a young Marcus Camby. He has to be in the conversation as the best regional prospect in this class. 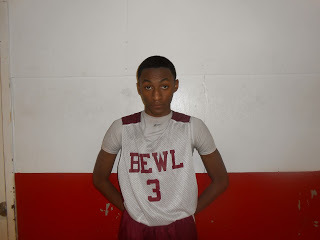 Jacob Beccles Guard (B&B Running Rebels)- Beecles continued his hot play from the AC Showcase. This combo guard can score with the best of them when he gets hot. He uses good body control and a scoring touch to get buckets. I also like the way he puts it on the deck and uses a change of direction dribble at the drop of a dime. Brian Dawkins Guard (B&B Running Rebels)- Every squad needs an outside threat and Dawkins provides the punch for the Philly crew. He has no problem getting things done on the perimeter. His best outing came against in town rival Fidonce Bulldogs as he finished with 13 points while nailing 3 treys. 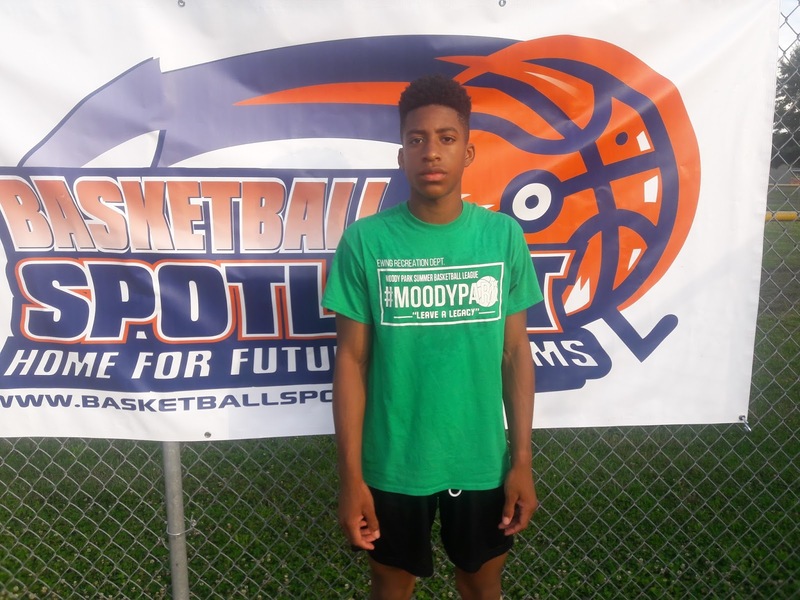 Rylan Muniz Guard (WE R 1 LV)- Muniz was perhaps the best shooter in the division at the MDC. Kid stroked it from everywhere. In the heated semifinals against East Coast Elite he drained 6 treys and collected 24 points to help them reach the finals. He finished the day with 4 treys in their championship loss. Nick Ellis Guard (WE R 1 LV)- The big guard and play maker can see over most defenders which helps him in passing and scoring. He also has a ratchet from deep which he also showed during the semifinals with 17 points (3 treys). Owen Johnson Forward (WE R 1 LV)- Johnson is a high energy wing that plays the game with great passion. He’s capable of chasing down a play for a block on one end and then finishing off the fast break with a layup on the other end. He can also step out a knockdown the jumper. He was huge all tournament with 19 points in the semifinals and 22 points in their championship loss. He was a beast. Kyle Johnson Guard (WE R 1 LV)- The other Johnson is built like a running back and is also difficult to contain. He can be a monster in transition because he’s dribbling downhill. He averaged double figures over the weekend and finished with 13 points in the championship loss. 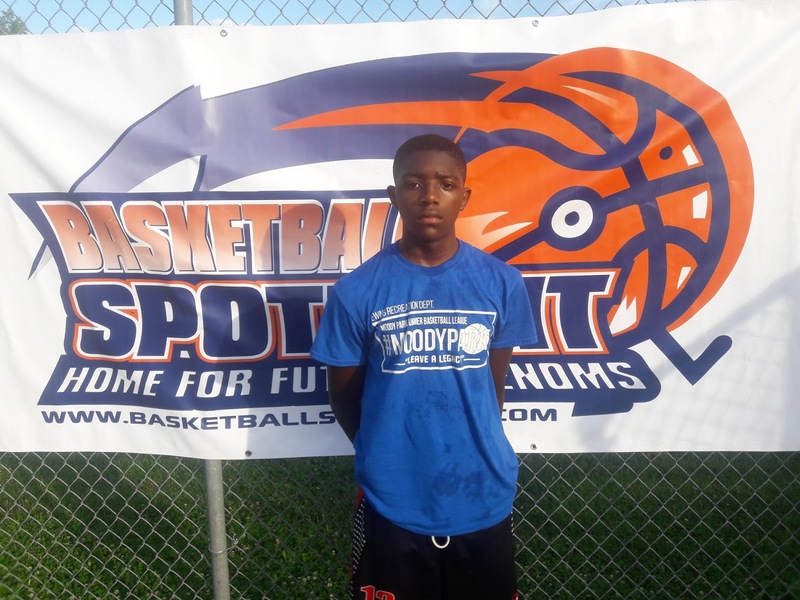 The Basketball Spotlight MDC 7th Grade Division probably had the most talent in the event. Here’s a look at the players that caught our eye at the Memorial Day Classic. 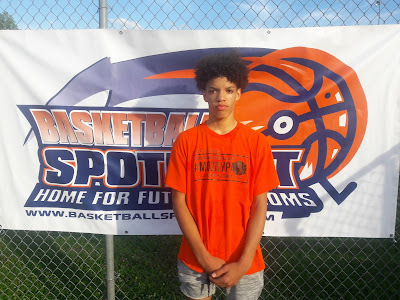 Zion Cruz Guard (Hilltoppers Heat)- After the Bleacher Report video entered this event with a lot of expectations and the 7th Grader delivered. He’s standing close to 6’2 and the explosiveness is very apparent. He was an instant scoring machine at times and showed off his improved athleticism. He’s beginning to separate himself from the pack and his new measuring stick has become national. Chance Westry Guard (Hilltoppers Heat)- The silky-smooth wing was a pleasant surprise. He already has the size for the position and the game to match. He can score it from all three levels and get anywhere he wants on the floor. He has tons of potential ahead of him and will be one to watch. 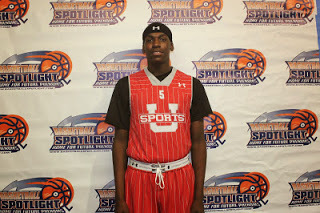 Dariq Whitehead Forward (Hilltoppers Heat)- Whitehead is without a doubt one of the best prospects on the country. He opened his game up during the MDC and even let us see his range. He’s one of the best finishers in the land by far. He finished with 18 points in the championship and kept his rep intact. Jayden Pierre Guard (Team Rio National)- Pierre once again put together a good weekend. His impossible to stop this kid was getting into the lane and he finishes well around the rim. He’s very smooth with the “Jelly” type finish even around shot blockers. I like how he stepped up on the big stage. 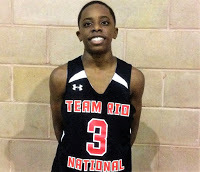 Corey Floyd Guard (Team RIO National)- Floyd is another scoring machine for this RIO bunch. When his trey ball is dropping he’s more difficult to stop. He can stroke it well from deep while also possessing a driving game. He hit up the Hoop Kingz Elite for 18 points. AJ Pierre Forward (Team Rio National)- Pierre has his best Spotlight outing. He was totally dominant in the paint on both ends of the floor. Standing 6’7 he showed soft hands and developing footwork courtesy of I’m Possible. If he continues in this direction he will be on the national radar shortly. 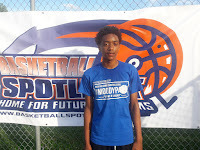 Elijah Perkins Guard (Team Rio National)- Perkins was a good finisher in transition. He filled the lanes well while finishing through contact. He’s a natural scorer and gets it done in bunches. I love how fluid he looks handling the rock and creating plays. The Basketball Spotlight MDC 8th Grade Division had some talent. Here’s a look at some of the top performers from the weekend in Neptune. Rahsool Diggins Guard (Team Final)- Diggins showed he has improved as a point guard in terms of decision making and making other people better. He got into the lane at will and created opportunities. I like his quickness and craftiness to get the job done. He knows how to mix up plays and get the job done. Zaakir Williamson Forward (Team Final)- Williamson really impressed us with his ability to get the job done away from the basket. He was able breakdown defenders and score the rock on all three levels. I also like to way he maneuvers around shot blockers on the baseline and in the paint. He demonstrated top notch body control. He has totally transformed to the wing. Christian Tomasco Forward (Team Final)- Tomasco showed he could hit the face up jumper and clean the glass for rebounds. On defense, he’s capable of blocking or altering shots. I like how he runs the floors and finishes off plays. He’s a prospect that you have to keep an eye. Khalil Farmer Guard (Team Final)- Farmer is one of the best prospects on the floor. He has a lot of wiggle in his game. He has matured on the floor and has become a legit wing player. I like the way he finishes and plays both ends of the floor. He will be a player to watch from the Philly area. Sam Fagan Guard (Jersey Force)- The point guard was perhaps the best shooter in the building. In the finals, he started the game by banging home 4 straight treys. The beauty of his game is that he doesn’t force the action or shots. He lets the game come to him but when burn you when needed. He definitely led the tourney in 3 point shots. He nailed 6 treys in the championship and finished with 24 markers. Zachery Orrico Guard (Jersey Force)- Orrico plays the backcourt with Fagan and also has great range. He plays well with the drive and dish game and plays intense defense. He hit a couple of treys from the NBA range. Michael White Forward (Jersey Force)- White is another shooter from the Jersey Force. He has a little more size than Fagan and Orrico. He caught fire in the semifinals by knocking down 4 treys and scoring 19 points to propel them into the finals. Jack Savare Forward (Jersey Force)- Savare can go inside or out and be effective. He plays well from the midrange area but can also step behind the arc. He also was known to make it to the charity stripe over the weekend.